Online learning environments offer efficient ways of interconnecting group members and satisfying their communicative needs. However, learning does not proceed through shared communication alone; all groups imply social processes and learning groups demand an additional pedagogical intention. Popular online learning systems satisfactorily enable the management of students and teaching staff but offer limited tools to support familiar educational techniques and even fewer to support the essential processes of group dynamics that accompany learning. This paper draws from both the literature of learning and of interpersonal and social interaction to define those characteristics of an online group that support learning and proceeds to use these criteria as a tool to evaluate currently available systems. Hewson, L. & Hughes, C. (2005). Social Processes and Pedagogy in Online Learning. AACE Journal, 13 (2), 99-125. 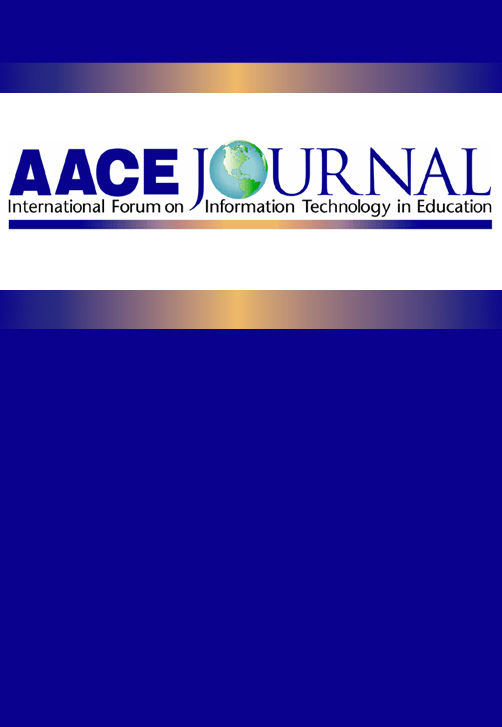 Norfolk, VA: Association for the Advancement of Computing in Education (AACE). Retrieved April 21, 2019 from https://www.learntechlib.org/primary/p/4805/. Dreyfus , H . (2001) . On the Internet: Thinking in action. London: Routledge Press . Luhmann, N. (1979). Trust and power. Chichester, UK: John Wiley and Sons. Pask, G. (1976). Conversational techniques in the study and practice of education. British Journal of Educational Psychology, 46(1), 12-25. Salmon, G. (1999). E-modera ting: The key to teaching and learning online. London: Kogan Page.